Take a visit to our comprehensive showroom in Maylands to see full-sized samples of many different types of staircases, balustrades and handrails in many different finishes. Bring your plans in or email them to us, then chat to one of our experts who will advise you on all the design options available for your project. 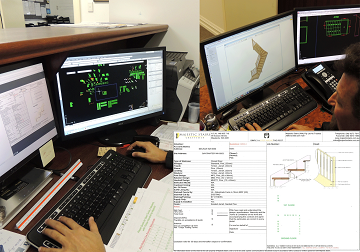 Once decided we will prepare a detailed quotation with plans, drawings, illustrations and all the details of exactly what is included together with a fixed price with no hidden extras or additions. You can also visit our stand at Home Base Subiaco 7 days a week to inspect the quality of our work.